The Iron Age and Roman settlement at Woodcock Hall has been known since the mid 19th century. Systematic fieldwalking and metal detecting has recovered an enormous number of Iron Age and Roman finds including coins, pottery, building materials and metal objects. The dates of the objects indicate that this was an area of significant settlement from the Late Iron Age until the 4th century AD. The finds scatter is widespread between Threxton and Saham Toney. To the south of the stream the number of mid 1st century military finds recovered from a small plateau suggests this is the site of a Claudian fort built to guard the river crossing. The very hot summer in 1996 enabled the identification of cropmarks of a second later fort straddling the Peddar's Way (NHER 1289, a Roman road) where it crosses the stream. Traces of roads and structures within the large fort can also be seen on aerial photographs. A separate possible annexe or horse compound has also been identified. The fort was the garrison for around 800 Roman legionaries and cavalry and was probably built in the second half of the first century AD on the site of an earlier Iron Age site. It may have been constructed in response to the Boudican revolt. An archaeological watching brief was carried out on the site by NAU Archaeology in 2007, this recovered 17 sherds of Roman pottery, as well as human skeletal remains which may represent an in-situ inhumation. Metal detecting in 2009 recovered a hoard of Roman objects secreted within a cauldron. Site of settlement around crossing of Wissey by Peddar’s Way east and southeast of Woodcock Hall from late 1st to 4th century AD. (S2) suggests this was a posting station of the military police. Roman coins, pottery, metalwork found. Most of Barton Collection in NCM probably derives from this site. See file for complete list. Fragment of Samian bowl with medallions depicting a dolphin, tiger and duck. See (S3). 1857. North side of Blind or Dark Lane. 2nd century AD cremation in grey ware jar. Roman sherds including samian found. 'For years before' 1936. In bed of River Wissey. Iron Age Icenian gold coin found. 1938 between 1946. In Ash Planting field. 1965. Field north of Woodcock Hall. Bank across field, north to south direction, parallel and east of the Peddar’s Way. A drain? Soil-marks seen on RAF aerial photograph. 1965. Found in gardening. Woodcock Hall. See (S4) and details in file. 1965 to 1966. Field west of Woodcock Hall. Extensive markings and cropmark of track. Cut a complex of three pits. Contained Iron Age sherds and medieval 13th to 14th century green glazed sherds. Scatter of medieval and Roman finds on surrounding field. Possible medieval brick kiln? Produced Roman sherds (including samian), tile, timbers, much metalwork. Revealed pit and large quantities of Roman sherds (including three complete pots) and metalwork (including ear scoops). Cobbles were recorded here earlier. 16th and 17th century sherds. Roman pot including samian, roofing and flue tiles, iron objects and animal bones. May be the same as dredging recorded above. Roman and medieval sherds, animal bones, timbers and copper alloy and iron objects. These include a copper alloy eagle or swan staff head or cart mount. See drawings (S24) in the Illustration Library. 1971. Found after ditch clearing. Major’s Meadow. Roman pottery in ditch, on surface and in spoil. Also large timber with Roman tile lying on it and animal bone below it. 1972. East bank of Blackwater in Church Meadow. Lower Palaeolithic Late Acheulean handaxe. See NHER 58789 for further details. 1972. By footbridge in bank of stream. Iron Age coin flan mould. See (S3) and (S9) in file. Bronze, lead, and deer antler objects. Roman metalwork. Leather shoes and fragments. Roman coin hoard of four gilded bronze coins found. June 1973. From north bank of stream. Iron hoop with attached bronze sheet. Iron Age pin, Roman figurine of deer (S48), lead object, Roman brooch, Roman coin found. Iron Age beaked and gilded brooch. Two Roman coins, Roman sherds and puddingstone quern found. 1976. Found with metal detector. Two Iron Age coins, brooch. Tip of Late Bronze Age spearhead. Silver ring with gold inset plate with cameo of Mercury, late 2nd century AD. Counterfeit silver-on-bronze coin of Nero. Roman sherds 3rd to 4th century. See (S3) and details in file. 1977. Found with metal detector. Two Iron Age silver coins. January 1977. Found on ploughed surface. Handle/rim sherd of jug or costrel. Some weeks before 12 December 1977. Dredging. Iron Age and Roman brooches and coins. 'Tank' marked by the Ordnance Survey reported as an ancient structure of stone slabs fed by underground springs. Visited by E. Rose (NAU) 19 April 1978. The 'tank' is buried and visible as a depression in the pasture with an iron railing around it. 1978. Found with metal detector in dredging. Circular bronze disc brooch with interlace decoration. 1978. Found with metal detector. Bronze finger ring with intaglio with a 4th century style bust. Spring 1978. Metal detecting in dredging. Medieval dagger or scabbard hilt mount decorated with animals. Bout-coupee handaxe. Lower Palaeolithic. See NHER 58789 for further details. Spring 1979. Found with metal detector. Iron Age brooch and chape. Cropmark indicating possible Roman marching camp. Bronze statuette of Minerva 'in centre of settlement site'. 2nd to 3rd century AD. 1981. In hole in riverbank. Palaeolithic handaxe. See NHER 58789 for further details. Fragment of Roman glass vessel. Mortaria with REGALIS stamp probably from Ellingham kiln and Roman sherd. See file for details and (S3). Possible Bronze crest from statuette helmet. See (S3). Rare 13th century Limoges type buckle plate found. See (S15). 28 July 1983. NAU air photograph. 3 January 1984. Metal detecting. Reports of a dozen silver denarii and a gold stater found. Gold finger ring of late Roman, 4th century type possibly found. 3 January 1987. Metal detecting. Iron Age Iceni silver coin, eight Roman bronze coins, one silver Roman coin and half a Roman bronze tweezers may have been found. Winter 1988 to 1989. Metal detecting. From hole excavated by police. Probably metal detecting. Roman sherds, animal bones and Roman tile. 1 April 1993. Metal detecting. Roman coins, hairpins, jettons. Medieval/post medieval metalwork. See list and (S3) in file. Roman sherds including the base/footing of a platter imitating Gallo-Belgic types. 10 April 1995. Metal detecting. Northeast defences showing as cropmarks. Several areas of cropmarks are visible to the south, separated from the fort by the road and river. A parched linear flanked by a ditch to the west runs southeast to northwest towards the river at approximately location . This may be a stretch of Roman road. It is not clear what its relationship is to the road which enters the fort. To the west of this linear are fragments of rectilinear enclosures, which are partially visible. S. Massey (NLA) 22 November 2001. 7 August 1996. NLA air photography. Photograph taken of fort site and surrounding area. The southern fort defences can be seen as very faint cropmarks. S. Massey (NLA), 8 November 2001. October 1998. Metal detecting finds. Roman and one medieval coins. Roman, medieval and post medieval metal objects. See details and (S3) in file. A. Rogerson (NLA) 4 December 1998. 16 June 1999. NLA air photography. Northeast corner of fort defences showing well as cropmarks. The southern set of ditches can also be seen, although they are not as clear. Other cropmarks elements can be seen to the southeast extent of the site. Traces of ditches are visible, possibly relating to an enclosure, although they are not clear enough to offer any definite interpretation. S. Massey (NLA), 2 November 2001. See lists, (S3) and (S4) in file. A. Rogerson (NLA) 5 February 2000. Before 4 April 2000. Metal detecting in two areas (Cottage and Three Pits field) outside scheduled area. Iron Age and Roman coins, medieval and post medieval coins. Iron Age, Roman, Early Saxon, medieval, post medieval and undatable metal finds. Roman and post medieval sherds. See lists in file with grid references of areas. A. Rogerson (NLA) 30 May 2000. Found before 4 April 2000, Three Pits Field. Three Roman silver finger ring fragments, disclaimed as treasure. A. Rogerson (NLA) 1 September 2000. Iron Age, Roman and medieval metal objects. See lists in file with grid reference of areas. A. Rogerson (NLA) 1 September 2001. 2001 to 2002. Metal detecting. Iron Age and Roman coins. Unidentified (S27), Bronze Age (S28 and S29), Iron Age (S30), Roman (S31, S32, S33, S34, S35, S36 and S37), Early Saxon (S38), Middle Saxon (S39), ?Late Saxon and post medieval metal finds. A. Rogerson (NLA) 4 March 2003. Copper alloy buckle frame fragment. A. Beckham (HES), 3 January 2013. December 2002 and 2003. Metal detecting. At location . One Iron Age, three Roman and two medieval coins. Bronze Age, Iron Age, Roman (S40 and S41), Middle Saxon (S42, S43 and S44), Late Saxon, medieval/post medieval metal objects. Post medieval token and coin weight. A. Rogerson (NLA), 27 September 2004. 16th century copper alloy mount. A. Cattermole (HES), 2 September 2011. (S17) suggests the presence of a Claudian fort to the south of the stream. The number of mid 1st century military finds recovered from a small plateau suggests this is this early fort was built to guard the river crossing. M. Dennis (NLA) 9 May 2006. Before 9 November 2006. Metal detecting. Thirty-six Iron Age, ninety-three Roman, eight medieval and five post medieval coins. Bronze Age (S45), Late Bronze Age (S46 and S47), Iron Age, Roman, Early Saxon, Middle Saxon, Late Saxon, medieval and post medieval metal objects. A. Rogerson (NLA), 1 February 2007. Scheduled monument consent granted concerning the reposition of an overhead line. Section 17 management agreement renewed. See (S19). D. Robertson (NLA), 17 October 2007. 19 and 23 - 25 October 2007. NAU Archaeology watching brief, contexts 1-16 used. Excavation limited to pole and stay holes for the replacement of electricity poles within fields north and east of Woodcock Hall. No archaeological features were observed due to restricted nature of the intervention. 18 sherds of Romano-British coarse ware pottery were recovered, dating to between the late 1st and 2nd centuries, along with one fragment of undated roof tile. Human skeletal remains were recovered, which may represent an in-situ inhumation, associated with one fragment of Romano-British pottery. For full results see (S20). E. Bales (NLA), 22 May 2008. September 2008. Evaluation, from context 20. The excavation revealed Roman features and finds indicating settlement dating to between the 2nd and 4th centuries AD. The material recovered indicates a substantial structure was located within the vicinity included a hypocaust or bath-house, although the proximity of the river could suggest that the latter is more likely. The size and type of the Roman tiles and ceramic building material recovered suggest that presence of two different buildings or at least a single building with two phases of construction. A small quantity of Saxon and medieval pottery was also recovered which could indicate activity during these periods or could have been introduced by other means including manuring. S. Howard (HES), 17 August 2011. Before 3 June 2009. Metal detecting. see lists, drawings (S50 and S51) and X-ray in file. A. Rogerson, (NLA), 1 December 2009. Before 4 December 2009. Metal detecting. A. Rogerson, (NLA), 2 February 2010. Section 17 management agreement renewed. D. Robertson (NLA), 2 February 2010. --- Aerial Photograph: TF8800 Z-AH; TF8900 A-L,M-U,V-X. --- Serial: 1975. Council for British Archaeology Group 7 Bulletin of Archaeological Discoveries for 1975. No 20. p 7 (palaeo). --- Article in Serial: Gurney, D. 1998. Four Roman Multiple Bow Brooches from Norfolk. Norfolk Archaeology. Vol XLIII Pt I pp 177-179. p 177. --- Aerial Photograph: OS 73-243-033. --- Aerial Photograph: Edwards, D.A. (NLA). 1994. TF8800/ACT - ACZ, ADA - ADT; TF8900/Y - Z, AA - AH. --- Publication: Brown, R.. 1985. Dissertation on Woodcock Hall RB site. 2. --- Aerial Photograph: Edwards, D.A. (NLA). 1996. TF 8800AJ - AM, ADU - AFB. --- Aerial Photograph: Edwards, D.A. (NLA). 1996. TF 8800AJA. --- Aerial Photograph: Edwards, D.A. (NLA). 1999. TF 8800AGU - AHZ. --- Aerial Photograph: Edwards, D.A. (NLA). 1996. TF 8800AFP-AGT. --- Unpublished Report: Brown, R. A. 1996. A Newly Discovered Roman Fort at Woodcock Hall, Saham Toney, Norfolk. --- Article in Serial: Brown, R.A.. 1996. Flying into the Past. Newly Discovered Roman Fort in Saham Toney.. Saham Saga. September. --- Unpublished Document: Gregory, A.. 1979. Woodcock Hall Site, Saham Toney/Little Cressingham. Pottery Report 1963 to August 1979..
--- Unpublished Document: Brown, R.A.. Woodcock Hall, Saham Toney, Record of Coins Found. --- Correspondence: Various. Various. Letters. Woodcock Hall Iron Age and Roman Site..
--- Unpublished Document: Translation of extract from H. Menzel Die Romischen Bronzen aus Deutschland I, Speyer (Mainz 1960). --- Newspaper Article: Eastern Daily Press. 1997. Lovely brook is lost forever.. 5 June. --- Newspaper Article: Eastern Daily Press. 1984. Man had detector on protected site.. 18 July. --- Newspaper Article: Eastern Daily Press. 1986. Metal - detector men deny bid to 'pillage' site.. 16 January. --- Newspaper Article: Eastern Daily Press. 1986. Suspended jail terms for metal detector pair.. 17 January. --- Newspaper Article: Eastern Daily Press. 1987. Men 'caught digging at Roman site'.. 28 July. --- Newspaper Article: Eastern Daily Press. 1987. Brothers who raided coins site are fined.. 30 July. --- Newspaper Article: Eastern Daily Press. 1987. 'Starsky and Hutch' swoop.. 29 July. --- Newspaper Article: Eastern Daily Press. 1989. 'Scared' metal detector man lied to police.. 18 May. --- Newspaper Article: Eastern Daily Press. 1989. Five at Roman site are cleared.. 20 May. --- Newspaper Article: Eastern Daily Press. 1994. Roman site theft charge.. 14 February. --- Newspaper Article: Eastern Daily Press. 1994. Treasure-hunt men caught on Roman site.. 19 February. --- Newspaper Article: Eastern Daily Press. 1996. Lost for 2000 years.. 6 August. --- Newspaper Article: Eastern Daily Press. 1986. History of Roman camp is pieced together.. 11 January. --- Newspaper Article: Eastern Daily Press. 1989. Metal detector men on Roman site, court told.. 16 May. --- Newspaper Article: The Times. 1996. Early Roman fort unearthed by the long hot summer.. 7 August. --- Newspaper Article: The Times. 1996. Reflections on Roman times and what they…. 14 August. --- Unpublished Document: Brown, R.A.. 1996. Editorial IN Saham Saga. October. --- Article in Monograph: Lawson, A.. 1978. A Hand-Axe from Little Cressingham. East Anglian Archaeology. No 8 pp 1-8. --- Article in Serial: Edwards, D. (NAU). 1983. Archaeological Discoveries for 1981 and 1982. CBA Group VI Bulletin. Series 2 No 28 pp 31-53. p 36 (palaeo). --- Vertical Aerial Photograph: Google Earth. 2006. Infoterra Ltd and Bluesky 31-DEC-2006 (Google Earth TF88620068)..
--- Archive: Clarke, R. R. and NCM Staff. 1933-1973. Norwich Castle Museum Record Card - Neolithic. saham Toney. --- Archive: Clarke, R. R. and NCM Staff. 1933-1973. Norwich Castle Museum Record Card - Iron Age. Cressingham (little threxton) . --- Archive: Clarke, R. R. and NCM Staff. 1933-1973. Norwich Castle Museum Record Card - Roman. Saham Toney . --- Archive: Clarke, R. R. and NCM Staff. 1933-1973. Norwich Castle Museum Record Card - Medieval. Cressingham (Little) . --- Archive: Clarke, R. R. and NCM Staff. 1933-1973. Norwich Castle Museum Record Card - Post-Medieval. Cressingham (Little). --- Illustration: Clough, T. H. Mck. 1972. Drawing of a Neolithic flint axehead. Card. 1:1. <S2> Article in Serial: Clarke, R. R. and Moore, I. E. 1937. The Roman Villages at Brettenham and Needham and the Contemporary Road System. Norfolk Archaeology. Vol XXVI Pt II pp 123-163. p 158. <S5> Unpublished Document: Dennis, B.A.. 1970. Notes on Finds in Sewer Trench at Threxton. <S6> Unpublished Report: Dennis, B. A. Note on Exploratory Excavations at Saham Toney. <S7> Article in Serial: Painter, K. S. 1971. A Roman bronze vehicle-mount from Little Cressingham, Norfolk. Antiquaries Journal. Vol LI Pt II pp 324-325. <S8> Unpublished Report: Dennis, B. A. 1973. Wood Lined Well at Saham Toney. <S9> Photograph: NLA. Finds Photograph. <S10> Article in Serial: Brown, R. A. 1988. A Group of Gold-Plated Roman Coins from Woodcock Hall. Norfolk Archaeology. 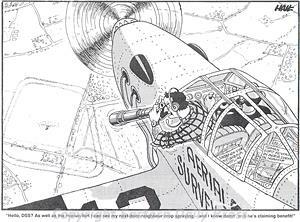 Vol XL Part II pp 171-179. <S11> Unpublished Document: British Museum. 1973. Four bronze gilded coins from Woodcock Hall, Saham Toney. <S12> Article in Serial: Henig, M. and Brown, R. A. 1979. Silver and Gold Roman Finger Ring from Watton, Norfolk. Norfolk Archaeology. Vol XXXVII Part II pp 201-202. <S13> Unpublished Document: Brown, R.A.. An Unusual Counterfeit Coin of Nero from Saham Toney. <S14> Article in Serial: Brown, R. A. 1982. Figurine of the Goddess Minerva from the Woodcock Hall Romano-British Site. Norfolk Archaeology. Vol XXXVIII Part II pp 206-208. <S15> Article in Serial: Margeson, S. 1985. A 13th-century Buckle-Plate from Saham Toney. Norfolk Archaeology. Vol XXXIX Pt II p 215. <S16> Unpublished Document: Suffolk Portable Antiquities Scheme Detailed Finds Report. <S17> Article in Serial: 1986. 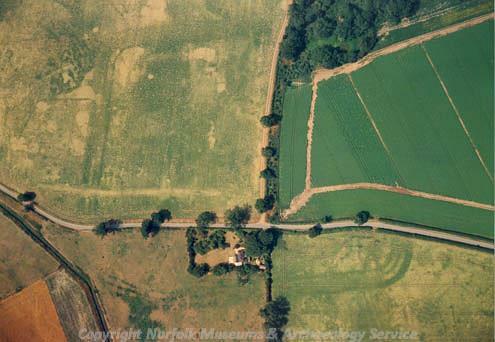 The Iron Age and Romano-British Settlement at Woodcock Hall, Saham Toney, Norfolk.. Britannia. Vol XVII p 1-58. pp 1-58. <S18> Scheduling Record: DCMS. 2007. Scheduled Monument Consent. <S19> Unpublished Document: Norfolk County Council. 2007-2008. Section 17 Management Agreement. <S20> Unpublished Contractor Report: Hobbs, B. 2008. An Archaeological Watching Brief on land near Woodcock Hall, Saham Toney, Norfolk. NAU Archaeology. 1533. <S21> Unpublished Document: Norfolk County Council. 2009-2010. Norfolk Monuments Management Project Section 17 agreement. <S22> Unpublished Contractor Report: Ratcliff, M. 2008. An Archaeological Evaluation at Watton Sewage Treatment Works, Little Cressingham, Norfolk. NAU Archaeology. 1950. <S23> Article in Serial: Gurney, D & Hoggett, R. 2009. Excavations and Surveys in Norfolk in 2008. Norfolk Archaeology. XLV Part IV pp 570-578. p 573. <S24> Illustration: Milligan, W. F. 1971. Drawing of Roman copper alloy brooches, bracelet fragments, a bone pin, a copper alloy buckle and a copper alloy purse pendant loop.. Card. 1:1. <S25> Illustration: White, S.. 1988. Drawing of an unusual Roman double-headed brooch.. Film. 2:1. <S26> Illustration: Unknown. 1999. Sketch of a Bronze Age spearhead.. Film. 1:1. <S27> Illustration: Wreathall, D.. 2002. Drawing of an unidentified copper alloy object possibly an Early saxon brooch/mount.. Card. 2:1. <S28> Illustration: Wreathall, D.. 2002. Drawing of a Late Bronze Age copper alloy flesh hook.. Card. 2:1. <S29> Illustration: Wreathall, D.. 2002. Drawing of a Bronze Age copper alloy awl.. Card. 2:1. <S30> Illustration: Wreathall, D.. 2002. Drawing of an Iron Age copper alloy terret.. Card. 2:1. <S31> Illustration: Wreathall, D.. 2001. Drawing of a Roman copper alloy cosmetic mortar fragment.. Card. 2:1. <S32> Illustration: Wreathall, D.. 2001. Drawing of a Roman copper alloy strap fitting.. Card. 2:1. <S33> Illustration: Wreathall, D.. 2001. Drawing of a Roman copper alloy seal box.. Card. 2:1. <S34> Illustration: Wreathall, D.. 2002. Drawing of a Roman copper alloy buckle fragment.. Card. 2:1. <S35> Illustration: Wreathall, D.. 2002. Drawing of a Roman copper alloy bracelet fragment.. Card. 2:1. <S36> Illustration: Wreathall, D.. 2003. Drawing of a Roman strap fitting.. Card. 2:1. <S37> Illustration: Wreathall, D.. 2003. Drawing of a Romah strapend.. Card. 2:1. <S38> Illustration: Wreathall, D.. 2002. Drawing of a Early Saxon copper alloy small-long brooch.. Card. 2:1. <S39> Illustration: Wreathall, D.. 2002. Drawing of a Middle Saxon pin.. Card. 2:1. <S40> Illustration: Wreathall, D.. 2003. Drawing of a Roman vessel handle.. Card. 2:1. <S41> Illustration: Wreathall, D.. 2003. Drawing of a Roman hair pin.. Card. 2:1. <S42> Illustration: Wreathall, D.. 2002. Drawing of a Middle Saxon copper alloy pin.. Card. 2:1. <S43> Illustration: Wreathall, D.. 2003. Drawing of a Middle Saxon ansate brooch.. Card. 2:1. <S44> Illustration: Wreathall, D.. 2003. Drawing of a Roman copper alloy phallic pendant.. Card. 2:1. <S45> Illustration: Gibbons, J.. 2006. Drawing of a Bronze Age awl.. Film. 1:1. <S46> Illustration: Gibbons, J.. 2006. Drawing of a Late Bronze Age blade fragment possibly from a sickle.. Film. 1:1. <S47> Illustration: Gibbons, J.. 2006. Drawing of a Late Bronze Age incomplete spearhead.. Film. 1:1. <S48> Illustration: Unknown. 1974. Drawing of a Roman copper alloy deer with a loop on the underside.. Card. 1:1. <S49> Illustration: Unknown. 1975. Drawing of two Roman brooches.. Card. 2:1. <S50> Illustration: Gibbons, J. 2009. Drawing of a Roman cooking vessel.. Film. 1:1. <S51> Illustration: Gibbons, J. 2009. Drawing of a Roman cooking vessel handle.. Film. 1:1.